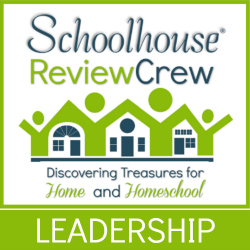 Over the last 4 years, our family has had a chance to review many homeschool materials from complete curriculum and supplemental resources to things that are just fun. This latest review touches on so many areas that it is really hard to put into a bucket so you will need to hang in there with me. Surfing the Net Science from The Critical Thinking Co. crosses over so many different lines of learning that I just can’t wait to share more about this fun resource and how you might want to use it with your children. We used Surfing the Net Science with our 11 year old who is right at the upper end of the recommended age range of Grades 3-6. My greatest regret is that we didn’t run into this resource sooner. Built on his science knowledge. When considering Surfing the Net Science, it has a lot of the elements of an elementary survey science course that incorporates chapters on Animals, Atmosphere, Ecosystems, Energy, Geology, Plants, and Space. The big difference is that this is no science textbook. The structure of this book is to provide targeted areas of research to the student and then guided tools and internet addresses to explore and obtain the information the student is to gather. Define: the student gathers general information using keyword searches on the topic through exploring text, videos, images, and charts through their internet searches. Describe: the student uses keyword searches once again in searching for more specific information on the topic again using text, videos, images, and charts found through surfing the internet. Analyzing and Synthesizing: the student uses the information gathered in the first two steps of defining and describing to complete a graphic organizer. A further way of digesting the information is to then take the material from the organizer and write a paragraph about the information learned. Expanding Knowledge: The student now goes back to the internet to do additional searches on specific aspects of the topic and uses this information to write some additional paragraphs. Investigating: This final step allows the student to come up with their own question of interest about the topic being studied and complete additional research. In addition to the activity sheets related to the steps above, there are also Challenge questions interspersed throughout to add an extra level of complexity especially to the student at the recommended age range for this book. I have to admit that I have really avoided using a lot of internet searching with our youngest. There is so much out on the internet that is not appropriate for children. However, computers and the internet are not going away. These are a part of my son’s life and always will be, so he really needs to learn to safely navigate. Internet safety is taught through the proper use of keywords and the directed links as the child enters into this world of internet surfing. Before we even began the first chapter, The Critical Thinking Co. provided a wonderful introductory video that can be shown to your child as a tutorial on the use of search engines and the proper way to do keyword searches and use bookmarks. The combination of learning internet searches with covering solid science concepts makes you feel like you are rolling multiple lessons into one. This is magnified to an even greater degree when you consider the critical thinking skills that are used in sifting through the information viewed and choosing what is the most important to incorporate into their work. The use of graphical organizers and many open-ended or paragraph responses allowed my son to really express his thoughts after doing the research. Many times he felt like a detective on the mad dash to solving a mystery. However, it was in slowing down to complete the activity sheets that he truly sifted through the information to bring it all together in a meaningful way. The biggest thing that made this resource a great addition to our homeschool library is that our son loved it! My only regret is that there is not a Level 2 to this book that I am aware of. Our other children did not learn solid research skills until they were in high school writing research papers. This made quality research a dreaded task rather than an adventure. Surfing the Net Science can certainly be used by a student working individually at home or can be used in a group setting. Additionally, I found great flexibility in how this resource would fit into many different approaches to homeschooling including Charlotte Mason, Delight Directed / Passion Driven, Unschooling, and as a tool to teach research skills that can certainly be used in more traditional courses in the future. As always feel free to read the other reviews on Surfing the Net Science from the Schoolhouse Review Crew as well as reviews that are also being done on Fun-Time Phonics!, The Basics of Critical Thinking, U.S. History Detective Book 1, and Practical Critical Thinking.